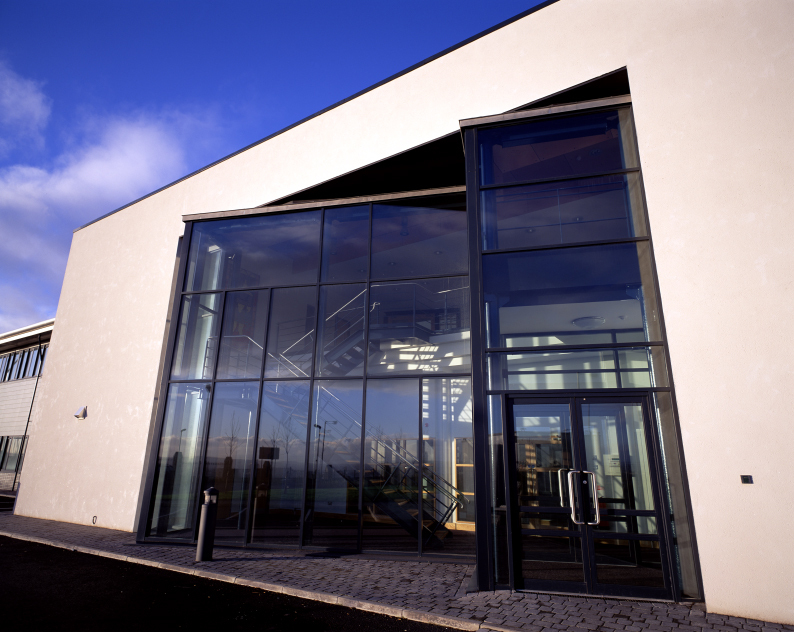 This building, commissioned by the Industrial Development Board occupies a commanding site on the side of the Black Mountain overlooking the Lagan Valley and the City of Belfast. Fundamental to the brief was the need to take advantage of the views the site affords while providing office space protected from solar glare in an environment conducive to creative thinking. It was also fundamental to the brief that space be divisible dependant upon the needs of prospective tenants. The solution provides a South Easterly facing long front elevation taken up by a central entrance, reception, lift, toilets and other ancillary spaces. The location of the reception on the first floor assists in the exploitation of the views while creating a welcoming and useful space for casual meetings. 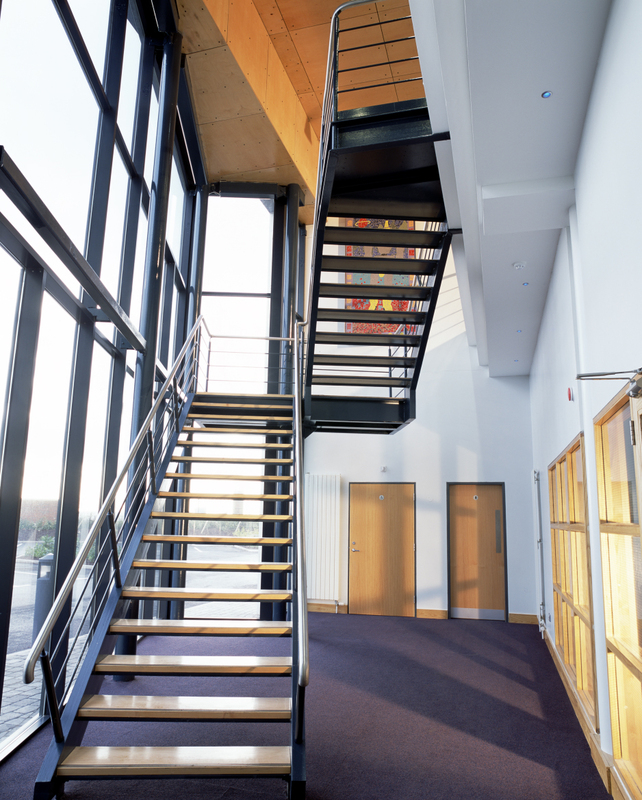 The first floor accommodation is divided by a top lit corridor running the full length of the building providing circulation with views to the sky and into offices encouraging interaction. Office space in general faces North West and towards a landscaped bank providing natural screening to glare. 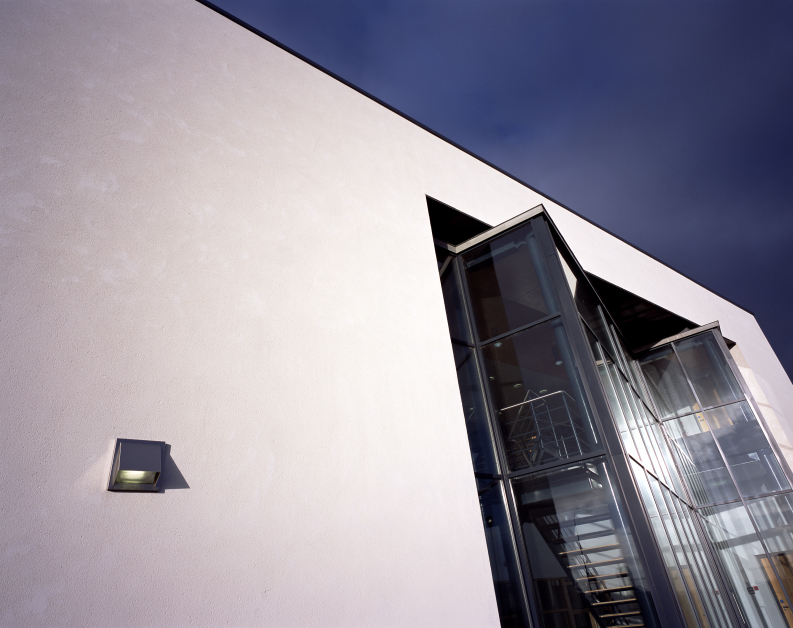 The mass of the building is broken up by the alternating blocks of white render and grey windows and cladding.